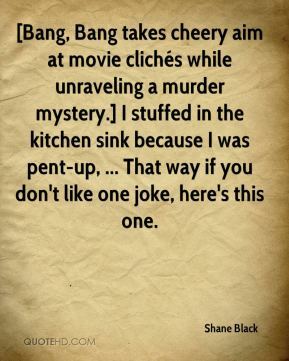 [Bang, Bang takes cheery aim at movie clichés while unraveling a murder mystery.] I stuffed in the kitchen sink because I was pent-up, ... That way if you don't like one joke, here's this one. 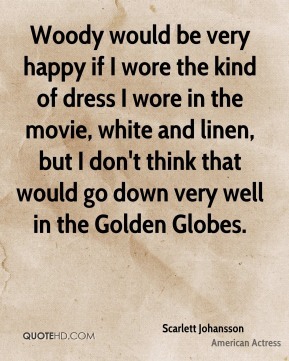 Woody would be very happy if I wore the kind of dress I wore in the movie, white and linen, but I don't think that would go down very well in the Golden Globes. 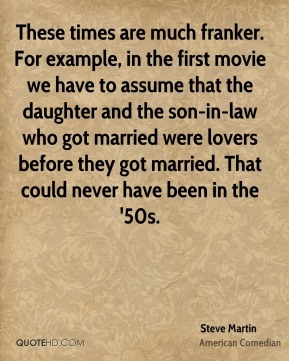 The movie got great reviews, then it got six nominations. 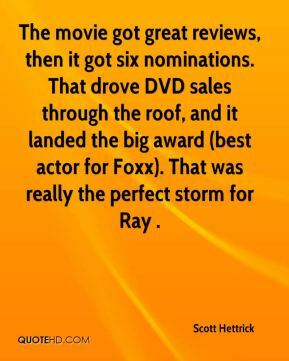 That drove DVD sales through the roof, and it landed the big award (best actor for Foxx). That was really the perfect storm for Ray . 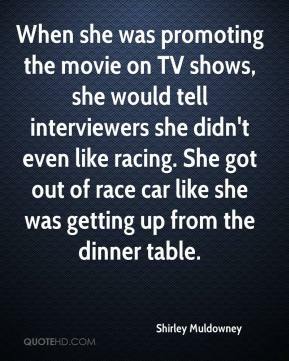 When she was promoting the movie on TV shows, she would tell interviewers she didn't even like racing. She got out of race car like she was getting up from the dinner table. I'm going straight to my mum's place. There's nothing going on between me and Daniel. We were in a movie together two years ago. 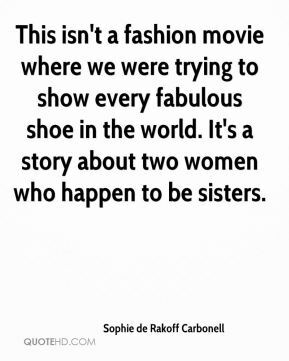 The movie opened a level of discussion. Who's going to ever be close to an execution? 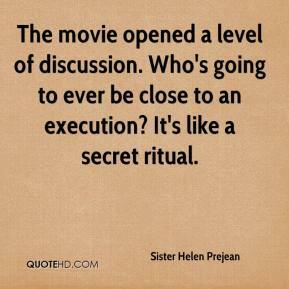 It's like a secret ritual. I don't want to talk about that movie. 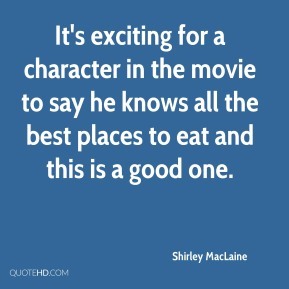 It's exciting for a character in the movie to say he knows all the best places to eat and this is a good one. 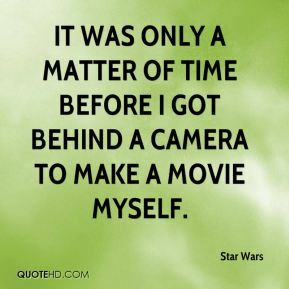 It was only a matter of time before I got behind a camera to make a movie myself. 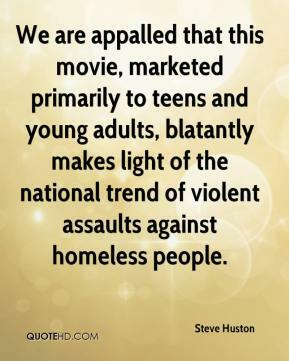 We are appalled that this movie, marketed primarily to teens and young adults, blatantly makes light of the national trend of violent assaults against homeless people. 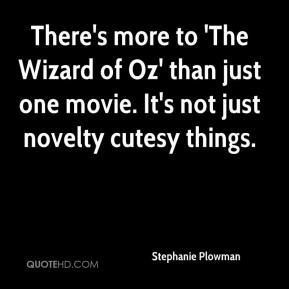 There's more to 'The Wizard of Oz' than just one movie. It's not just novelty cutesy things. 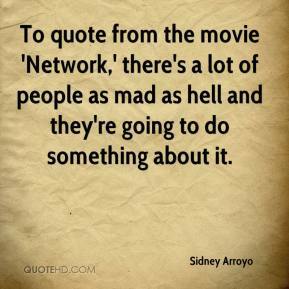 We see it with almost every movie that comes out that features a certain type of animal. 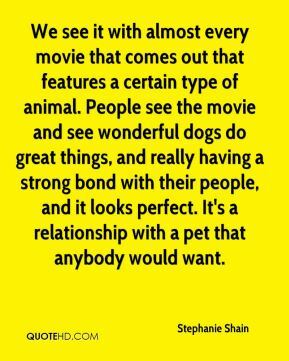 People see the movie and see wonderful dogs do great things, and really having a strong bond with their people, and it looks perfect. It's a relationship with a pet that anybody would want. [With a movie star,] they don't blend in - that's the point. 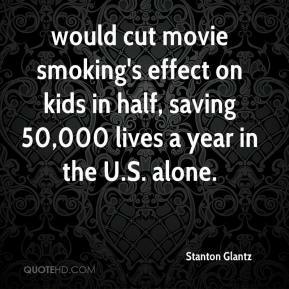 That's why they get $20 million and 20 percent of gross, it's so they don't blend in, ... 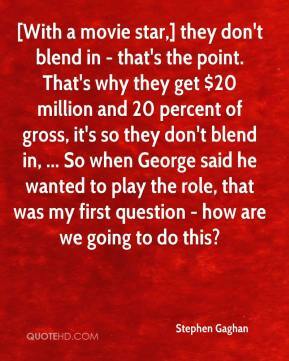 So when George said he wanted to play the role, that was my first question - how are we going to do this? There's already some movie interest, and this is the first of a series of books. 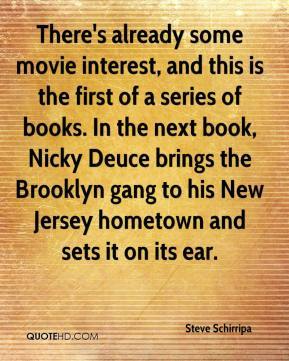 In the next book, Nicky Deuce brings the Brooklyn gang to his New Jersey hometown and sets it on its ear. 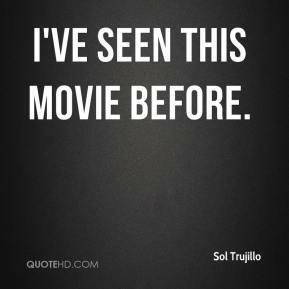 I had never read a word, nor seen a movie. I had to immerse and educate myself. 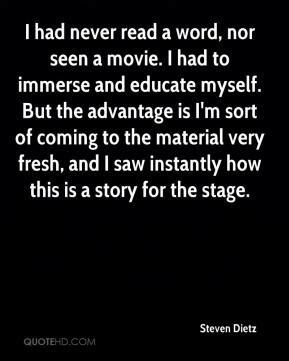 But the advantage is I'm sort of coming to the material very fresh, and I saw instantly how this is a story for the stage. 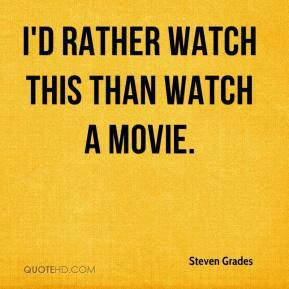 I'd rather watch this than watch a movie. 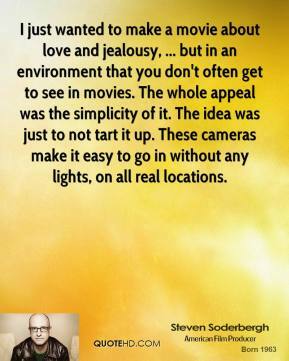 I just wanted to make a movie about love and jealousy, ... but in an environment that you don't often get to see in movies. The whole appeal was the simplicity of it. The idea was just to not tart it up. These cameras make it easy to go in without any lights, on all real locations. [? 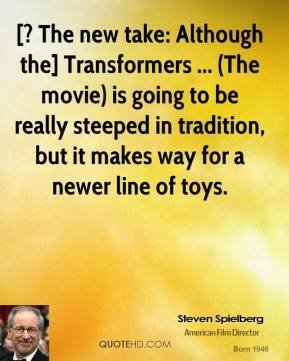 The new take: Although the] Transformers ... (The movie) is going to be really steeped in tradition, but it makes way for a newer line of toys. 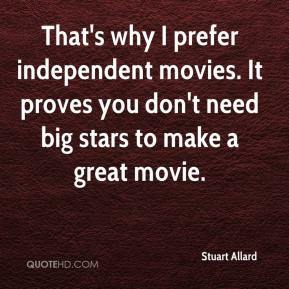 That's why I prefer independent movies. It proves you don't need big stars to make a great movie.